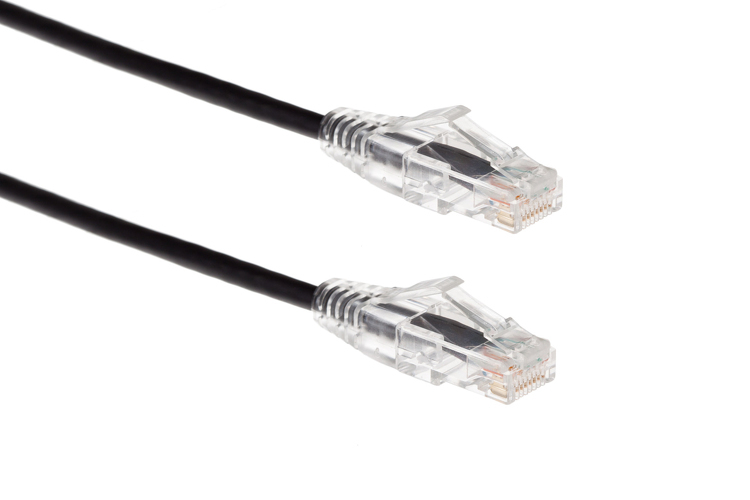 Our Cat6 Slim Ethernet Patch Cables are the perfect solution for high-density installations in data centers or any network setup where space is limited, without sacrificing the speed and durability that you are used to with regular sized Cat 6 cabling. The Snagless boot enables the installer to quickly connect and disconnect the cable in even the tightest situations. 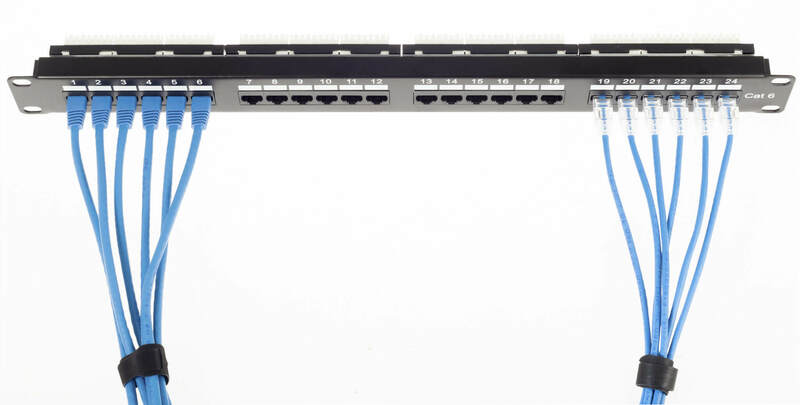 The smaller diameter cable makes it easier to handle cable management, therefore, making it more simple to install and troubleshoot the cables when needed, as well as creating better airflow in your data center or network closet. 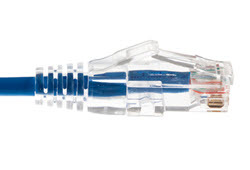 Our Cat6 patch cables are tested for compliance with all EIA/TIA-568-C Category 6 specifications. 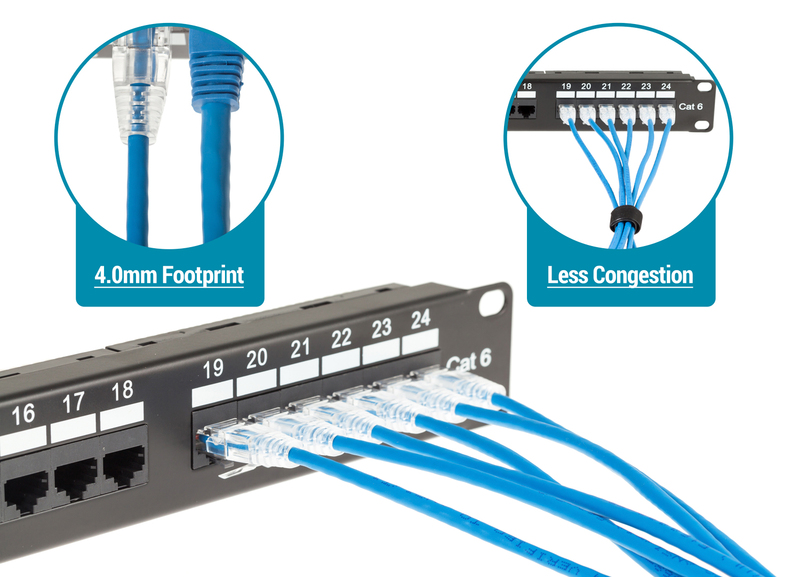 Read more about finding the right ethernet cables for high-density networks. 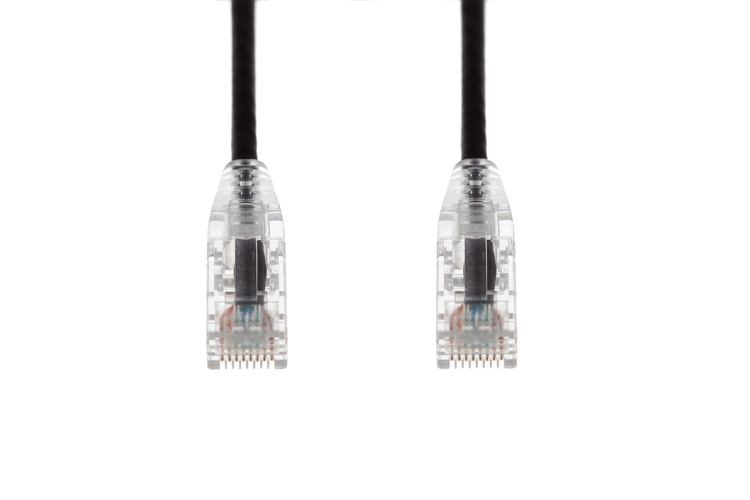 The low-profile boot design makes it easier to use when connecting and disconnecting cables, and combines the benefits of both Snagless booted cables and non-booted ethernet cables. This tabbed boot relieves the strain on the cable and connectors giving you reassurance that your cable will operate at top efficiency and speed. The thinner cable design is a must-have in high-density data center and network environments where saving space means saving money. The thinner cable frame gives you better airflow and cable management without sacrificing performance and reliability. The slim booted Cat6 ethernet cables come in our 5 most popular colors and 5 top sizes to meet the needs you have for your business and network setup. If you do not see the color or size to meet your ethernet needs, give one of our Cabling Experts a call or online chat with them today, and we will help you source exactly what you need. 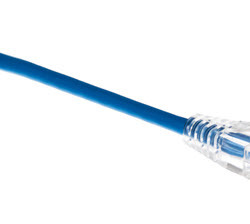 What is the difference between Cat5e, Cat6, and Cat6a? What are Ferrari-style Ethernet Cables? Why Would You Use Shielded Ethernet Cables? 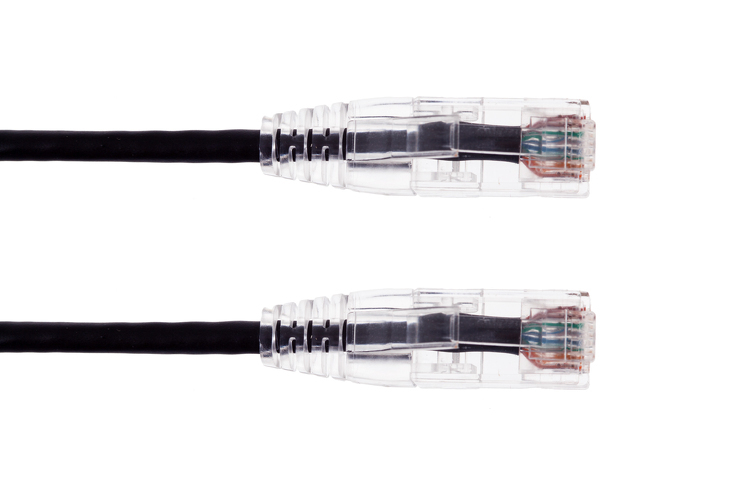 What is Cat8 and how is it different from other Ethernet cables? 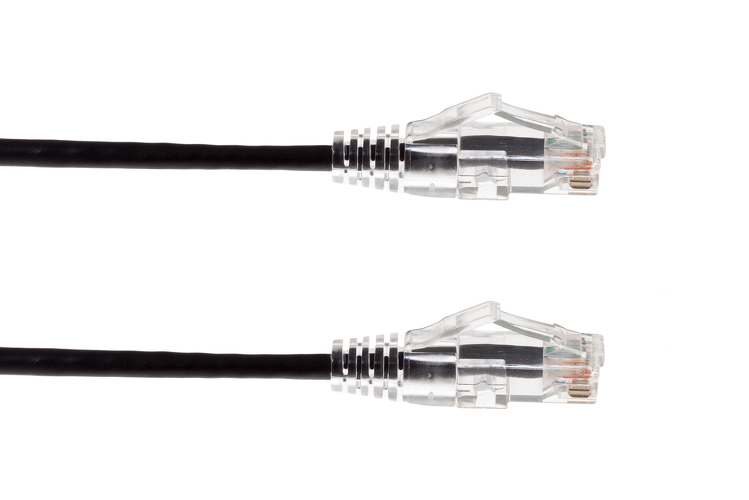 What is the difference between crossover and straight-through Ethernet? What does AWG mean for Ethernet patch cables? What is the AWG for Cat5e, Cat6, and Cat6a cables?